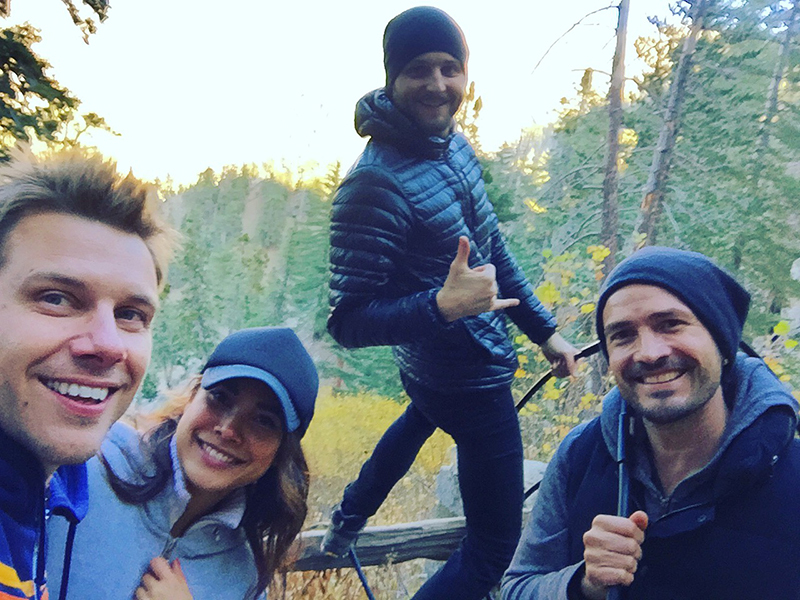 Collecting spring water at the top of the mountain, with LifeStylist Luke Storey, along with other fresh water enthusiasts and friends Charina Sirisinha and Elliot Hans. If you could cram as many crazy biohacking techniques for feeling optimal into one day as possible, what would you do? If you are interested in biohacking and trying out different techniques for mind and body, today's show is for you. Last week I was in LA, and had the chance to hang out with LifeStylist and biohacker Luke Storey. Check out the pics below, and listen on to find out how these practices could benefit you. Scroll down and take a look at our adventures. In a cryotherapy tank. Temperature at this point down to -238 Fahrenheit. Do you feel my pain? Listen to the podcast to find out exactly how bad it was. Interviewing Luke in a sauna made out of clay. Temperature in here = 202 Fahrenheit. I was getting worried my recording equipment might explode at this point. Relaxing on the beach after a full day's biohacking.